Me, in Baltimore two weeks ago. I call this photo "hair woes." 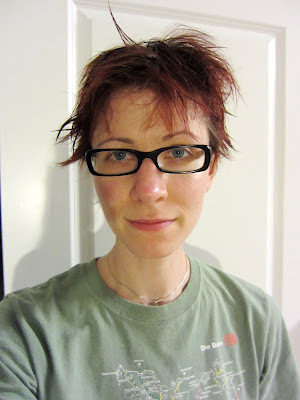 While in the Beltway area I did some modeling for an upcoming knitting book, and the day before the shoot I realized I should send a photo of the current hair situation to the photographer and editor so that they could avoid wasting their time and money on me. They assured me it would be fine. The few photos I got to see confirmed that they were right. Imagine how bad that got after another two weeks. 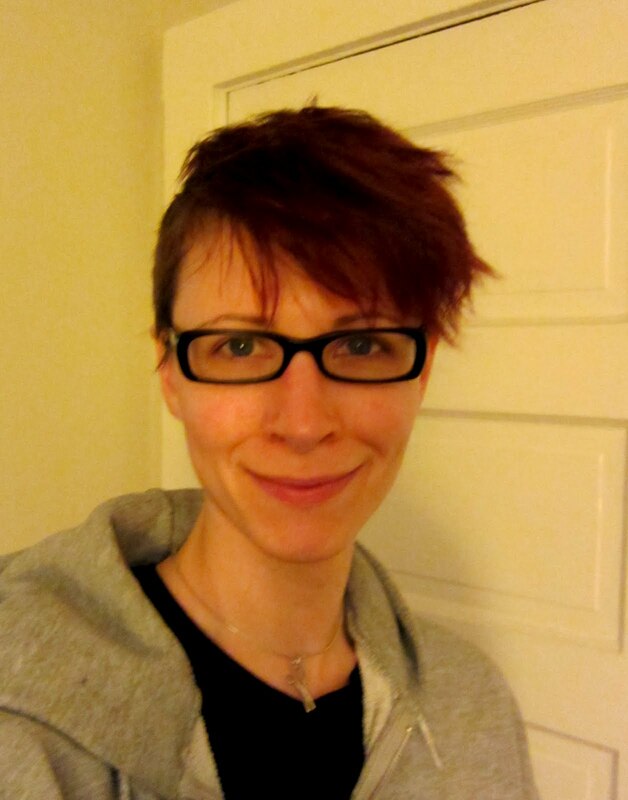 I took some time out of my crazy schedule for a haircut. Ta da! The concept is "skate punk." I like it. The sides are a completely different color from the top because I'm too broke to afford a dye job, but from a distance it looks like one color because the values of the two colors are so similar. I'm using it as an example in my color theory classes. In the meantime, beautiful yarn from around the world has been arriving at my house. 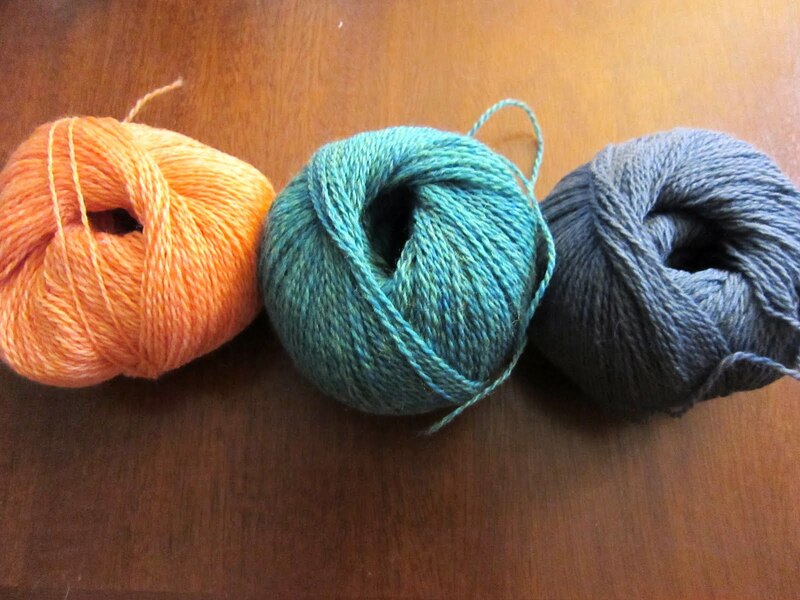 Above are three different yarns from Zauberwiese, a German dyer. 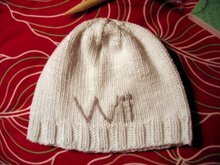 I discovered Alexandra's yarns through Christiane, who is using some Zauberwise Falkland (I believe) for a Whiteness of the Whale sweater. 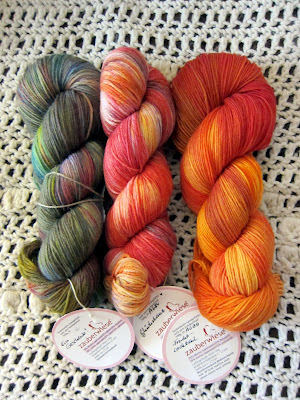 I waited patiently for the next update and got these lovely colors—I picked the two on the right (OBVIOUSLY my type of colors: Falkland merino superwash sock yarn in the middle in Glueckstanz and 75% merino/25% acrylic sock yarn on the far right in Fruchtcocktail), and Alexandra included the skein on the left, which is a luxurious merino/cashmere/nylon blend) as a gift. 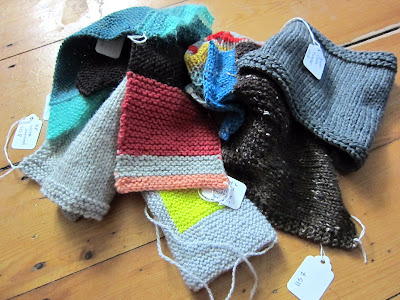 I have design plans for all of them—a shawl and hat for the softer blends, and some durable fingerless mitts from the synthetic blend. Thrilled with the yarn, the colors, and the friendliness of everyone on the Zauberwiese board on Ravelry, I decided I would travel to the Zauberwiese meet-up in Freiburg in May, where I can practice my German, teach an Albers Cowl class, visit German yarn shops, do some hiking, and make new friends. And buy at least one sweater worth of Zauberweise. 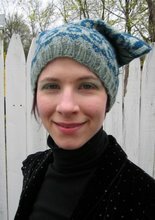 Ich freue mich aus die Garne, die Farben, und die Freundlichkeit der Zauberwiese-Strikkeren an Ravelry, ich entscheide ueber eine Reise nach der Zauberwiese Treffen im Freiburg in Mai zu machen. 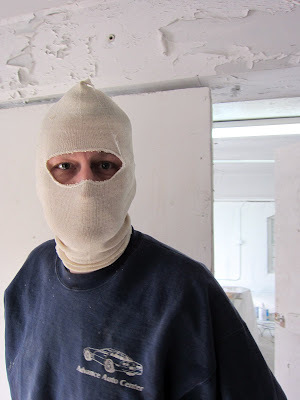 Ich wird meine Deutsche ueben, ein Albers Cowl Workshop lehren, Deutsche Garn Ladens besuchen, Wanderungen machen, und neues Freunden machen. Und auch genug Zauberweise Garn fuer ein Pulli kaufen. 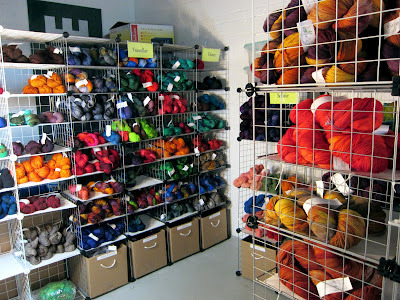 Next post: The crossfit experience and yarn from Canada. The Munch Shawl. 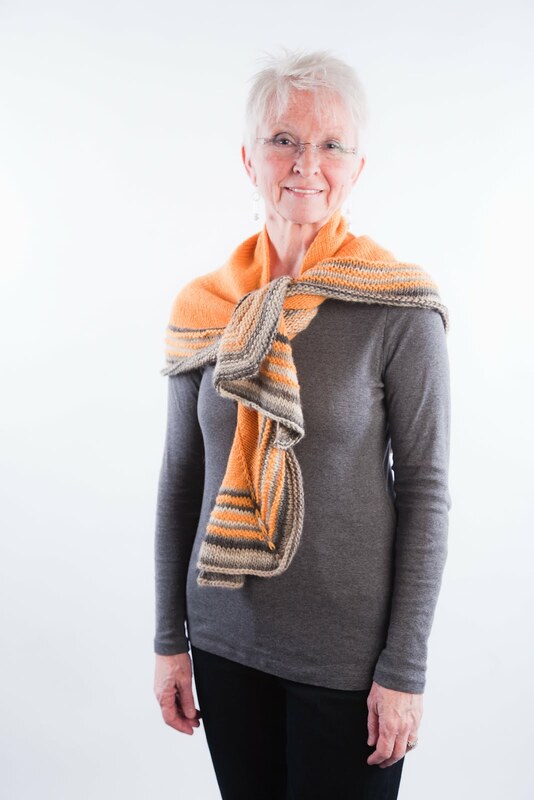 My friend Karen, who knit the gray sample below, christened it because the swirling colors around the edge reminded her of Munch's paintings, Despair in particular. 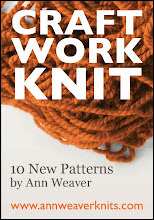 The second version is Wool of the Andes Worsted in Caution and Chroma Worsted in Paperback. 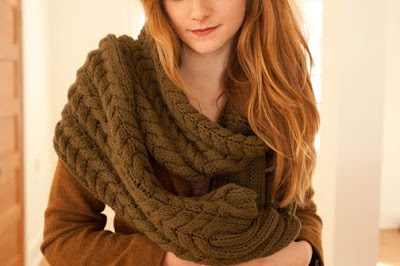 But you can use any worsted weight yarns you like. 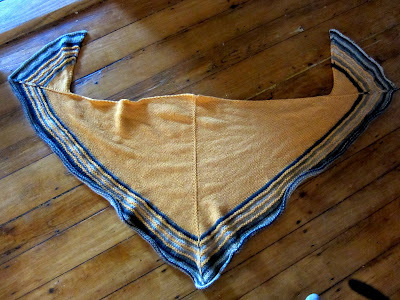 Thea made a stash-busting version test knit after she saw me wearing this shawl a couple months ago. 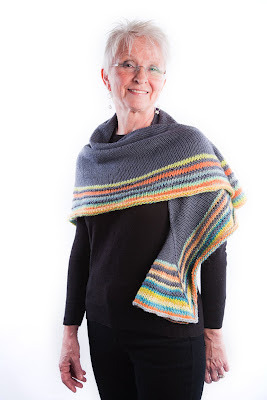 As she notes on her blog, it features "wings" that not only increase the shawl's styling options but also hold it firmly in place around your neck. 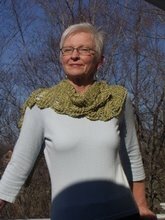 If you've taken one of my shawl workshops, you'll recognize this as a take on one of my recipes! 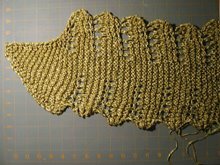 It's a mix of Stockinette and garter stitch—no charts and only minimum counting. It's how I like my shawls. You can purchase the pdf for $4.99 here. 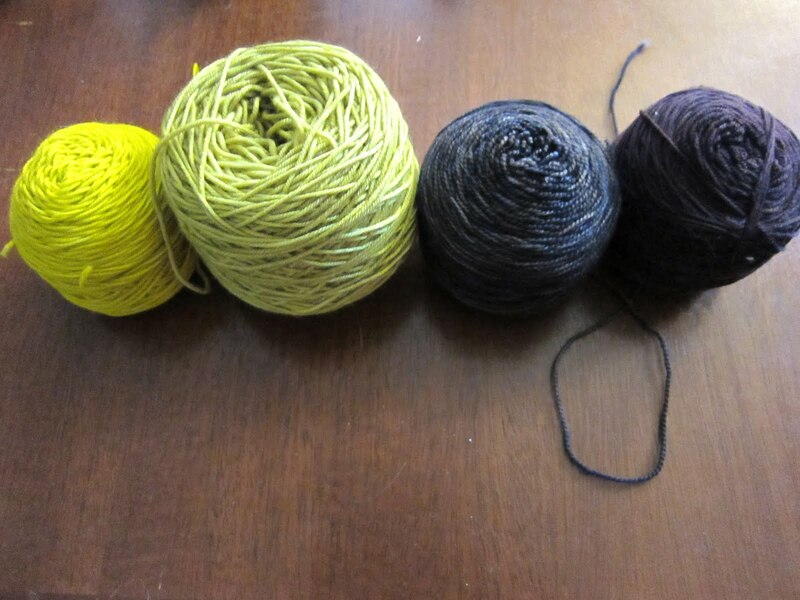 Imagine the yarn and color possibilities. Just back from the Baltimore/DC/Alexandria area, a whirlwind of learning, teaching, photo shoots, design planning, and yarn acquisition. I'm still tired enough to be having trouble with my words, so enjoy the photos! I took a dyeing workshop with Karida of Neighborhood Fiber Co. at Fibre Space. 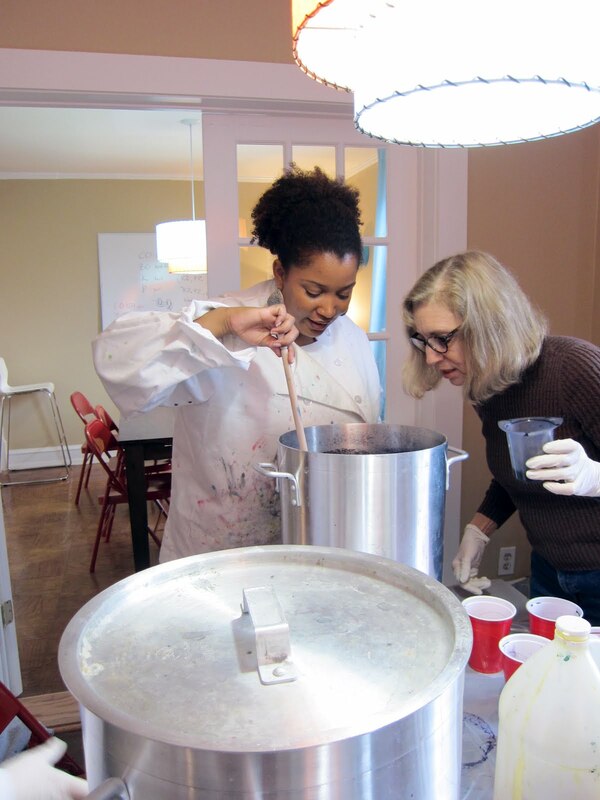 Here you can see Karida in her chef's jacket taking a look at some of our work. Note the color wheel on the left. I learned about color in a new way—how to layer to create different shades, hues, and semi-solid effects. 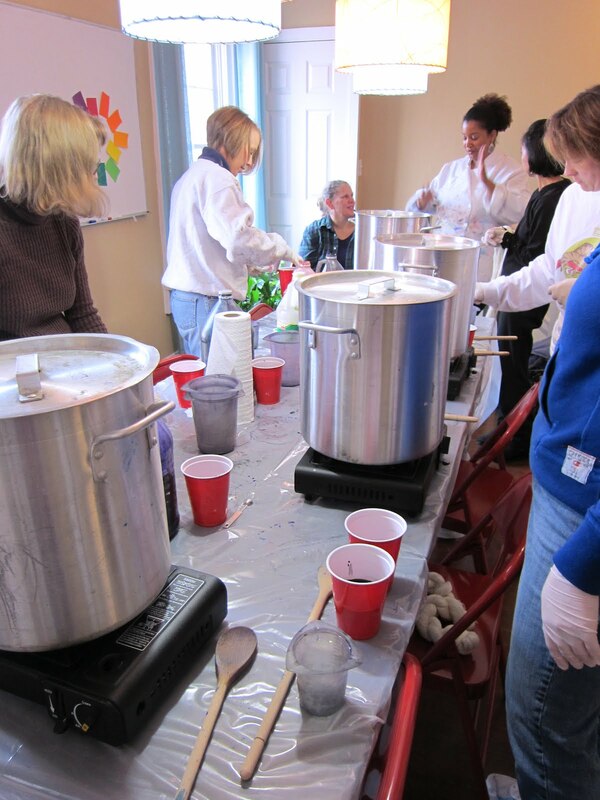 Here are some of our colors. Which do you think are mine? Ha! I also met Kate of Dragonfly Fibers in her studio, where she was setting up for a big party on Saturday, Feb. 11. Although I couldn't make it to the party, I got to see LOTS of yarn. Kate has a huge range of colors, from subdued to neon and from nearly-solid to intensely variegated. 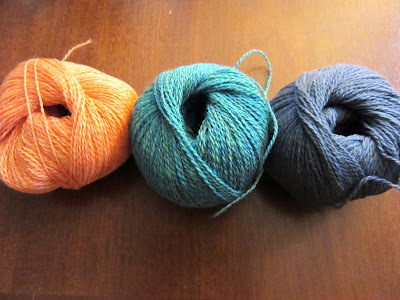 We've planned several collaborative projects (using the colors I've linked above). One of the projects will involve two skeins of her Squishy Lace, in Rocky Top (top) and Hidalgo (bottom). I've affectionately named them Rusty Tanker 1 and Rusty Tanker 2. 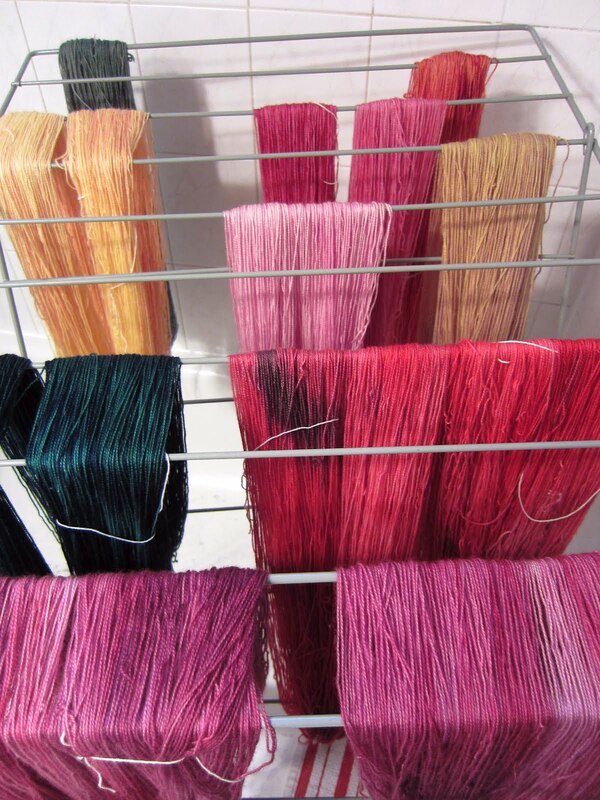 One more photo of some of her yarns drying. 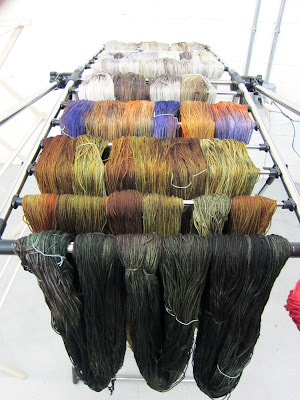 I'll be making a project from the subdued color on the back of the drying rack, called Winter Woods. It's even better in person than on the website. More soon—it will be some time before I've exhausted content from last week's adventures, at which point I'll be able to share a new design! Which was designed by my sister, Beth, the graphic design wonder behind my books. 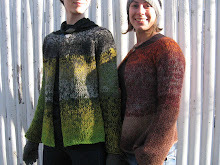 That's right, there are two of us Weaverknits. And when we get together, we are a force. Like it? You can purchase it here and learn more about Beth here. It's WHITE!!! It's starting to feel clean and bright. Chris painted it with a sprayer; we'll be adding yellow by hand when it gets a little warmer out. 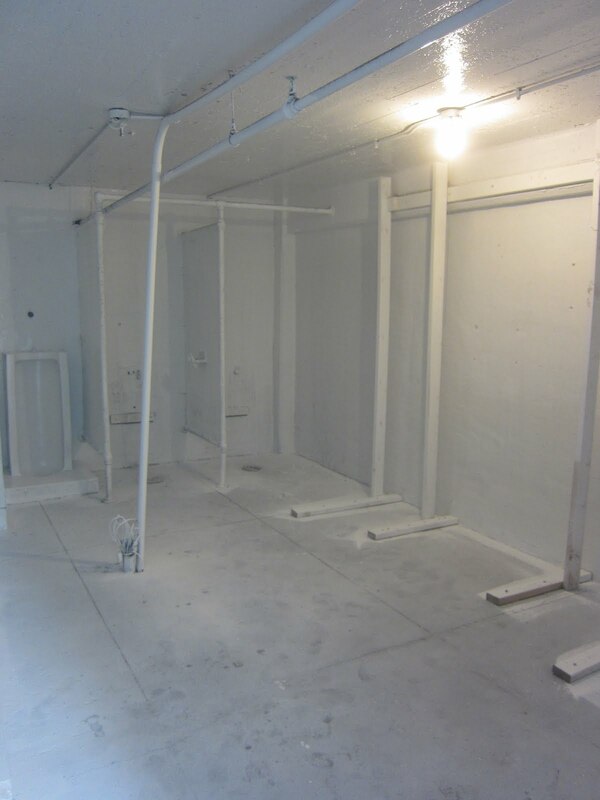 Even the men's toilet area got a coat of primer. 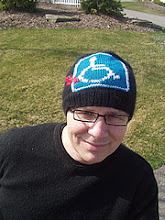 For those of you who may have forgotten that I knit, behold! 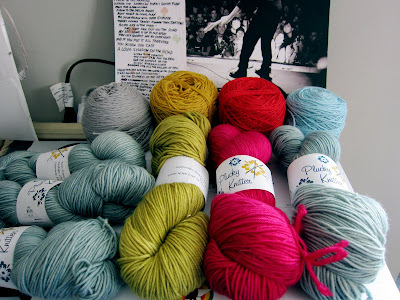 Pile of swatches for January and February projects! In a few months I'll have a landslide of new designs to show, but for now it's all secret, knitting as fast as I can. I've been working with some predictable color combinations, like my very favorite, primary color variations. 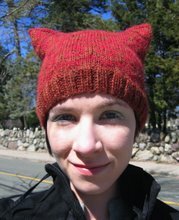 I got to meet Sarah, The Plucky Knitter, at a trunk show at Another Yarn a few weeks ago and purchased some of her yarn. When I got home, I noticed its resemblance to the colors I was currently using for a new design. Rear yarn cakes: New design. 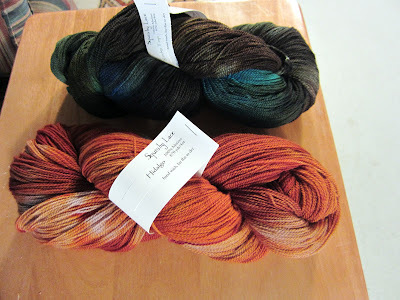 Front yarn skeins: Plucky Knitter. Here are some of the usual suspects, lined up for a new project. And some perhaps less predictable choices. The yarns below are KnitPicks Palette, and the color on the far left, which is one of my new favorites, is called Mai Tai Heather. 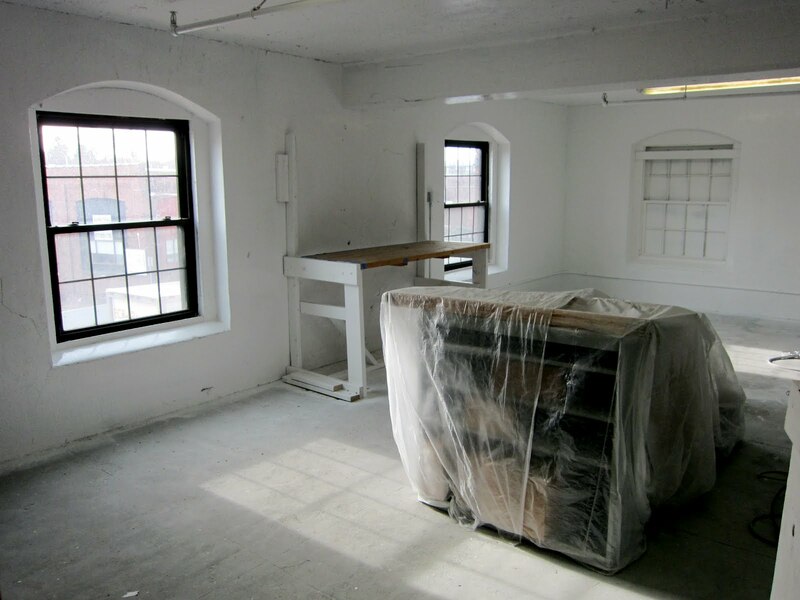 Expect to see all these colors making appearances shortly!